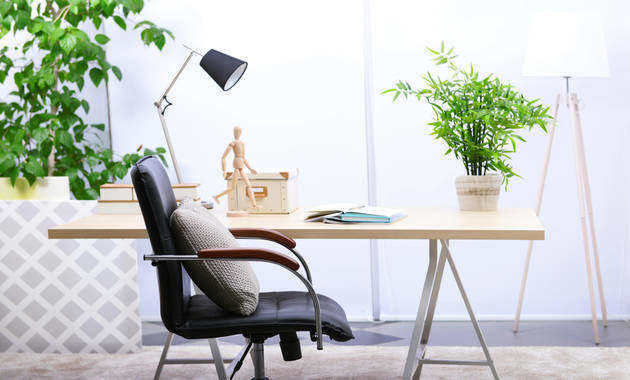 Home » Health A-Z • Live Well » 7 Indoor Plants You Must Add To Your Surroundings To Fight Air Pollution! National Pollution Prevention Day is observed on 2nd December in India with the aim to make people and industries aware about the importance of pollution control acts. HOW DO THE INDOOR PLANTS HELP IN CLEANSING THE SURROUNDING AIR? -Several indoor plants have been found to absorb the poisonous gaseous contaminants through their leaves and roots, through a process called Phytoremediation. -The soil of these potted plants serves as a rich source of microorganisms that aid in neutralizing the effect of the pollutants. Here are a few indoor plants that you can add to your workplace and house. -With several benefits to its name, Aloe vera is also beneficial in keeping ones’ surrounding pollutant free. -It helps in removing formaldehyde effectively from the air. -Easy availability, easy growth needs, and several benefits are reasons to pick this plant for your house. -Research by NASA suggests, chrysanthemum to be a real air purifying plant. -It has been found to remove ammonia, formaldehyde, benzene and xylene. -Popular and pretty, this plant is not only beneficial but also serves as a decorative plant. -At first, it requires sufficient sunlight to grow, therefore it should be placed on the windowsill of the room. -It has been found to be effective in removing benzene, formaldehyde and trichloroethylene. -It is one of the commonly available plants that can absorb a wide range of chemicals sprayed during the cleaning of our houses/ workplaces. -It has been found to remove benzene, formaldehyde, xylene and carbon monoxide from the surrounding air. -Inexpensive, easy on maintenance and harmless to children and pets, it is a common choice for many people. Next Day Delivery Of Anti-pollution Masks In Delhi NCR. Order NOW! -The plant grows gradually, however, eventually grows into a very tall plant. It may need moderate sunlight to grow. -It has been found to remove benzene, trichloroethylene and xylene from the surrounding air. -Toxic for the pets (cats and dogs) you have to be cautious if you have pets at your place. -Also called as the “mini-tree”, this plant grows into a tiny full grown tree with a height of 60-120cm. -It may require sunlight sometimes so place it outdoors during the spring and summers for short intervals. Also, make sure it is moistened with water during summers. -Subtle in looks and beneficial to the surrounding, it is amongst the common picks in indoor plants. -It removes benzene, formaldehyde, toluene, tricholoroethylene and xylene from the air. -Generally, it blooms in the summers, in shady and moist places. -Unlike other plants, these plants need not be watered very often. They are usually watered once in 3-4 weeks. -Make sure these plants are exposed to the sunlight as and when needed. -In case you have pets, make sure you do not pick the plants that can be toxic to them. So, go ahead and make sure you pick these indoor plants the next time you pay a visit to the nursery and reap the countless benefits that they offer. Stay Healthy, Stay Happy! Are You Using The Right Anti-Pollution Mask? ← World AIDS Day: Why HIV Testing And Diagnosis Is Important?